Wooww... What’s happen? Am I wrong? But, I clearly said that the country is Indonesia, the richest country in the earth. But, isn’t that country in a buried condition? Debt everywhere, high level of proverty, corruption everywhere, low national morality and some other problems that cover this country? OK, let’s uncovered what wealth that Indonesia had one by one, so we can see the truly Indonesia…. 1. Indonesia had the biggest gold mine with the best quality of gold in the world…It’s called PT Freeport. 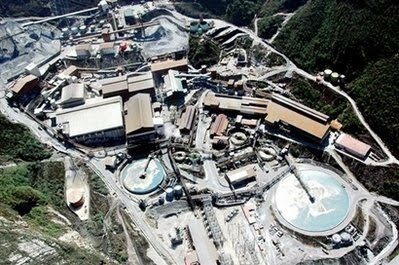 This gold mine has already produce about 7.3 million copper and 724.7 million ton gold. if 1 kg of gold is $44,000 (1 ounce gold = $1250). That’s only gold, not yet copper and other minerals. Then who manage this mine? Not Indonesia but USA! The percentage is 1% for the owner land and 99% for US as country who had technology to do some mining there. In fact, when gold and copper getting less and less, deep under the ground, 400 meters below the sea level, there is a mineral which is 100x times more expensive than gold. URANIUM! Nuclear raw material has been found there. Still don’t know how much uranium found there. But, the last issue said that the amount of uranium there is enough to make nuclear electric power plant which can lightening this whole earth. Freeport is deserving for some rotten officials, generals and politicians in this country who can enjoy their life with thousands of pleasure by pooring this country. They not even better than leech! 2. Indonesia has the biggest gas reserve in the world! There, at Blok Natuna. 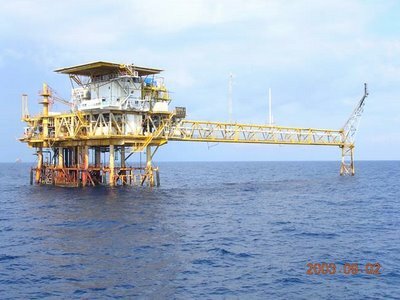 How much gas contained in blok natuna? Blok Natuna D Alpha has gas reserve to 202 trillion cubic feet!! And there are still many others copper, gold and gas reserve and mine in this country. Whose manage this assets? EXXON! 3. Indonesia has the biggest tropical forest in the world. This tropical forest is about 39,549,447 Ha, with the most complete fauna and flora diversity in the world. The Forest located at Sumatra, Kalimantan, and Sulawesi Island. Beneath it all, if this country wants the end of the world, it’s very easy. Just cut down all the trees in that forest, then this world will be end. Earth needs Indonesia tropical forest to keep climate equilibrium because amazon forest is not enough to do this hard job. And now, many people by little and by little destroy this forest to build plantage and golf field. How ironic……. 4. 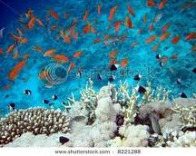 Indonesia has the largest sea in the world. Surrounded by two ocean, Pasific and Hindia ocean and no wonder Indonesia has many fish species that other country don’t have. Countries next to Indonesia often “steal” fish and entering Indonesia sea territorial. 5. Indonesia is the 4th largest population in the world. In 2010 the population of Indonesia is about 430 million people. With this amount, Indonesia should have lot of smart people, but government allow them. It has become human disposition, to survive they want to be rewarded. The solution is the “smart people“ live this country and support other country which can respect and give them better reward. 6. Indonesia has a very fertile land. Lots of vulcanos make this country’s land very fertile and more Indonesia crossed by the equator, make this country got enough sunlight and sun. If compare to countries at middle east which have lots of oil, Indonesia is of course richer. Those mining and mineral can’t be restore and renewed immediately and when all those oils ran out, those countries will be poor, cause they don’t have fertile land, they can’t plant some plants. 7. 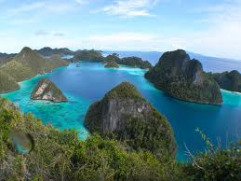 Indonesia has a very exotic scenery and no other countries can beat it.